Taiwan's ROC government stands in contrast to the People's Republic of China (PRC), which took the Mainland from the ROC in the Chinese Communist Revolution of the 1940s. The PRC government in Bejing never managed to take over Taiwan, but still insists that it will someday, saying the island is an inseparable part of China. It maintains delicate, semi-official relations with the ROC government in Taipei, but fiercely opposes any move toward formal Taiwanese independence. Taiwan's ROC government also claimed ownership of all China at one time, when it was ruled under martial law by Chiang Kai-shek's Chinese Nationalist Party (Kuomintang, or KMT). But with democracy now in place, and fewer and fewer Taiwanese people thinking of themselves as Chinese, recent administrations have backed off from those claims. In fact, many of Taiwan's politicians support increased acknowledgement of independence, but so far no administration has been willing to risk war with Mainland China by issuing a full-on independence declaration. 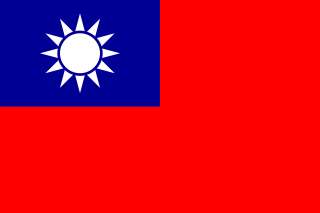 Until the 1970s, the Taiwan's ROC government held onto China's seat in the United Nations (UN), and was considered China's rightful government by the majority of the world's countries. But after the UN General Assembly deposed it and replaced it with the PRC in 1971, the tables turned quickly. Today, only 17 countries in the world (about 9%) still have formal diplomatic relations with the Taiwan-based ROC government, including 16 UN member countries plus UN observer state Vatican City. All of them are marked on the map above, along with all countries that have cut diplomatic ties with the ROC within the last ten years. Now, recognizing a government doesn't technically have the same legal meaning as recognizing a country. Officially, everyone recognizes China as a country, but they disagree over whether the ROC or PRC administration is China's government. That means that when we talk about countries "recognizing" Taiwan, it's not technically the same thing as when countries recognize Kosovo or Palestine. To illustrate that point: A country that recognizes Kosovo as a country independent from Serbia normally continues to recognize Serbia as a country too. But in the case of China and Taiwan, countries are forced to pick one or the other. Because the Mainland government insists Taiwan can't be separate, it cuts ties with any countries that set up relations with Taiwan, even if they want to stay friends with China too. Still, saying that a country with diplomatic ties to the ROC "recognizes Taiwan" is a useful practical analogy, since Taiwan now strives to be something more like a self-declared country than a rival government of China. In fact, after 1991 Taiwan's government requested a seat separate from Mainland China in the UN, accepting the PRC's right to rule the Mainland even while making sure not to declare outright independence. North and South Korea have an arrangement just like that, both technically claiming to be governments of Korea while still allowing each other to have separate recognition and UN seats. But because the PRC sees Taiwan its subordinate, not its equal, it has blocked any similar deal from happening. Taiwan and El Salvador cut ties in August 2018, amid accusations of unreasonable Salvadoran financial demands. In May 2018, two more countries cut ties with Taiwan in favor of relations with Mainland China, both under financial pressure. In 2017, the Central American republic of Panama became the second country to cut ties with Taiwan since an eight-year "diplomatic truce" between the ROC and PRC ended in 2016. Graphic of the Commonwealth flag is displayed under fair use principles (source).